Kafka's final novel was written during 1922, when the tuberculosis that was to kill him was already at an advanced stage. Fragmentary and unfinished, it perhaps never could have been finished; perhaps the tensions between K., the Castle and the village, K.'s struggle for acceptance or recognition by the mysterious Castle authorities or by the people of the village, never will and never can be resolved. 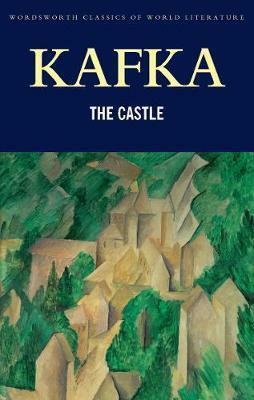 Like much of Kafka's work, The Castle is enigmatic and polyvalent. Is it an allegory of the sprawling Austro-Hungarian Empire as it disintegrates into modern nation states, or a quasi-feudal system giving way to a new freedom for the subject? Is it the search by a central European Jew for acceptance and integration into a dominant culture? Is it a spiritual quest for grace or salvation, or an individual's struggle between his sense of independence and his need for approval? Is K. is an opportunist, a victim, or an outsider battling against an elusive authority? Is the Castle a benign source of authority or a whimsical system of control? Like K., the reader is presented with conflicting perspectives that rehearse the existential dilemmas and uncertainties of literary modernity.